Have you ever watched a pot of soup simmering on the stove? Steam in the pot rises. Put a lid on the pot and the steam and water may actually boil over. Turn the heat down, though, and the water and steam drop too. Deep beneath the Earth, heat rises from the core through the mantle to the surface. The heat rises slowly, but it moves the mantle. 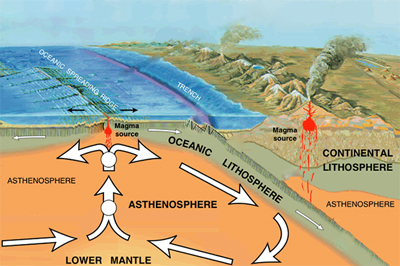 The mantle rises beneath the Earth’s crust before spreading sideways and cooling. Once the mantle cools, it sinks again. This slow, but constant movement has broken the lithosphere in many places, dividing the Earth’s crust into tectonic plates. This movement happens over millions of years and it’s called continental drift. 250 million years ago, all the continents were joined together to make a giant continent called Pangaea. In some places, the plates are pulling apart. New crust is pushed up from below. 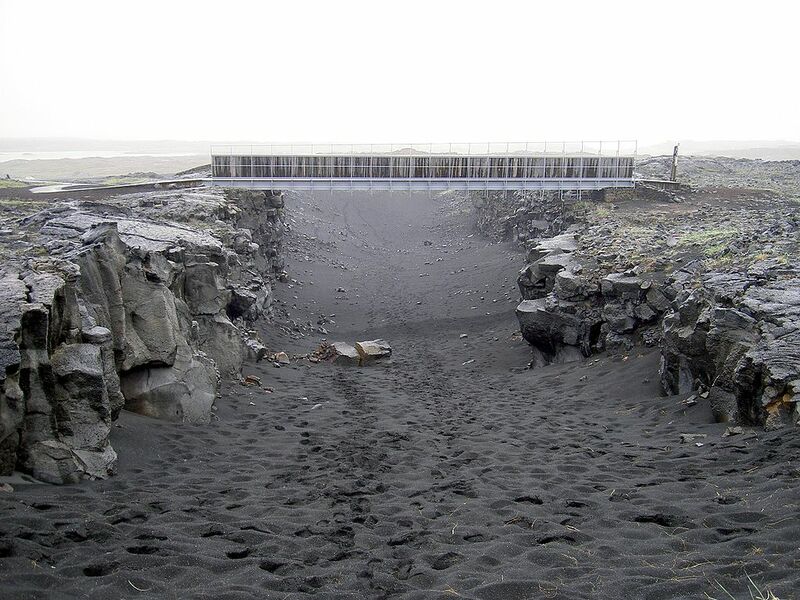 These are called divergent boundaries and they create rifts or valleys. Large lakes sometimes form in rifts. In other places the plates are pushing against each other, creating mountains. These areas are known as convergent boundaries. Sometimes one crust is dragged beneath – or subducted – below another one. Ocean plates are heavier than continental plates so these plates are always dragged beneath. A transform boundary happens when plates slide past each other but neither collide nor rip apart. The San Andreas Fault in California is a transform boundary. The Red Sea formed where the African and Arabian plates pulled apart. This rift is getting larger and the Red Sea will eventually form an ocean. A kid’s video that discusses about tectonic plates and what it causes and creates. Question: Will the continents suddenly change? Answer: The plates’ movement happens very slowly. 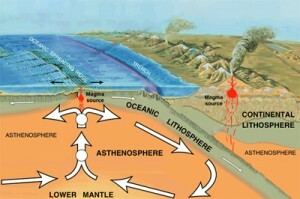 For example, the Atlantic Ocean began as a rift 160 million years ago. The rift expands at the rate of 1 inch per year. You are not likely to notice major changes in your lifetime. Stick around for a million years or so, though, and you might see a difference. 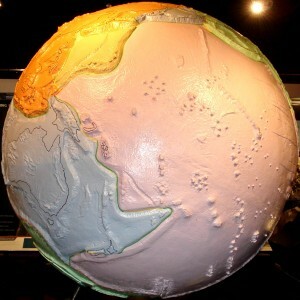 Enjoyed the Free Geography Kids online resources all about Tectonic Plates info? Take the FREE & fun Tectonic Plates quiz and download FREE all about Tectonic Plates worksheet for kids. For lengthy info click here.